SXSW Interactive has over 35,000 registrants and hundreds of sessions. With so much going on, how can you make a true connection? The key to making true connections during the event and beyond is friendship. When you want to purchase a product and your friend has the item or something similar don't you ask them? If a friend has a great idea you would sit down and listen to them before a stranger. This session will discuss how to take networking to the next level with fun and meaningful interactions that increases your networking reach. Making friendships with the people you make at SXSW today could be with the person who will help your business tomorrow. Friends help friends over strangers. Justin Esgar was born with an iPad in one hand and a patent list in the other. Successful serial entrepreneur, certified Apple consultant and software developer, Justin revels in making life better for everyone through technological innovation. He empowers businesses, organizations and individuals with his wealth of experience and knowledge, as well as an ongoing commitment to a tech-driven greener earth. His best-selling apps include SignMyPad, the paperless PDF signature solution, and TruckFood, the cult-favorite tracking tool for food trucks across the nation. Blogger, podcaster [appitalizeonyouridea.com] and speaker at many national tech events, Justin spends his free time cooking up new ideas...and food for his wife. Since 1997 "Sweet John" has been discovering the wonders of the SXSW Conference and Festival. Having experienced many aspects of the conference from being a volunteer, staffer, and registrant he is well-versed in the "ways of the fest". 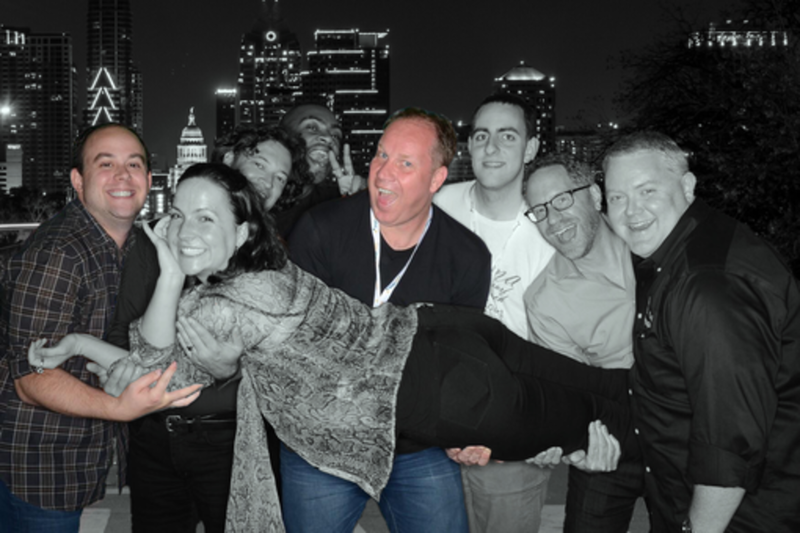 There is nothing better than the creative energy from the best part of SXSW; the people. Currently he is working in Special Projects & Marketing for Rocksauce Studios in Austin, Texas. In his spare time you will find him riding around on his longboard, taking photographs around town, or in the park with his two dogs.